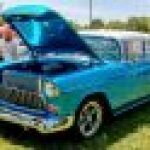 Welcome › Forum › Madison Area Discussions › Merrimac/Madison Area Car Shows Charity? This topic contains 3 replies, has 4 voices, and was last updated by moparkid25 7 years, 9 months ago. My name is Amy and I’m a wish funding specialist for Kids Wish Network! 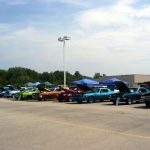 I was wondering if any of you are aware of a local car show or club that does local charity benefits! Kids Wish Network is a national oraganization but one of our wish kids is from Merrimac, WI. Do you think any of you can help make a dream come true for a very sweet 17-year-old boy from Merrimac, WI who suffers with CP, Epilepsy and is a quadriplegic. Gage’s only wish is to go on a cruise. Kids Wish Network has completed most of the arrangements and now we need your help to make this wish come true for Gage. Through the generosity of our many corporate partners, Kids Wish Network is able to provide Gage’s entire wish for $1,900. Hi Amy, does Gage have a specific car he’d like to cruise in? 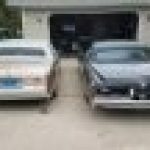 There are several car clubs in the area that would be more than happy to help you out. I’d be more than happy to take this young man on a cruise. There seems to be some confusion centered around the word cruise in Amy’s request…according to the wishes tab of the linked website here: http://kidswishnetwork.org/2011/05/i-want-to-enjoy-a-cruise-2/ cruise is in reference to his wish for a “relaxing cruise on the high seas” not so much in a classic car. I hope this clarifies the request.